How many ways can you twist, slide, push and wrap fabric around a pole? See the rich organic patterns you can create with this fun and productive class! 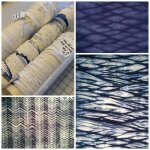 This is a technique driven class, focusing on fabric manipulation and learn 12 different ways to get the fabric on the pole. 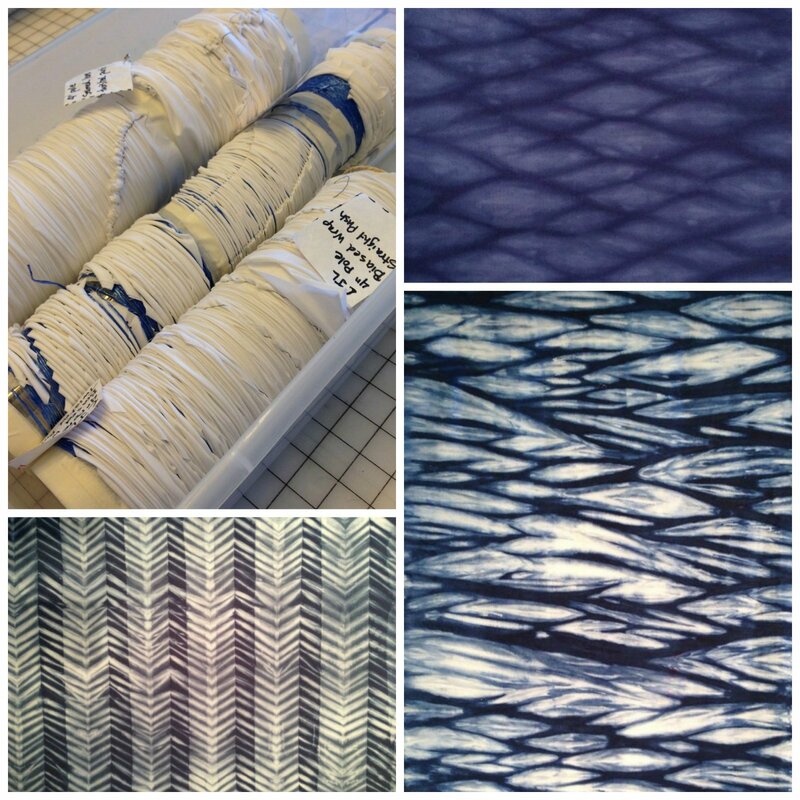 We will dye the fabric with fiber reactive indigo dye. Three yards fabric, fiber reactive indigo dye, all fixatives, detergent, gloves and mask along with 3 reusable acrylic poles, squeeze bottles, paint brush and mixing cups. 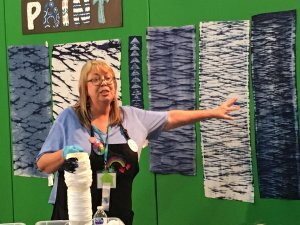 Materials Included: Three yards fabric, fiber reactive indigo dye, all fixatives, detergent, gloves and mask along with 3 reusable acrylic poles, squeeze bottles, paint brush and mixing cups.